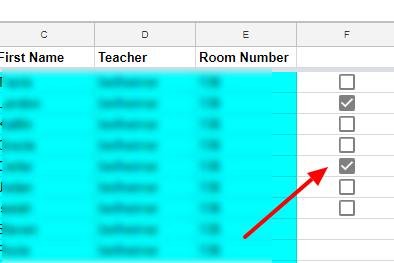 Google Sheets has a nice, new feature. You can now add check boxes into your cells. This would be helpful for checking student names off for turning in assignments, bringing in field trip money, or anything else that you would need to check off. In Google Sheets, go to Insert- Checkbox. It automatically puts in a box, in the cell, that you are clicked on. Then if you click inside box, you can click to add a check mark or click it again to remove the check mark.